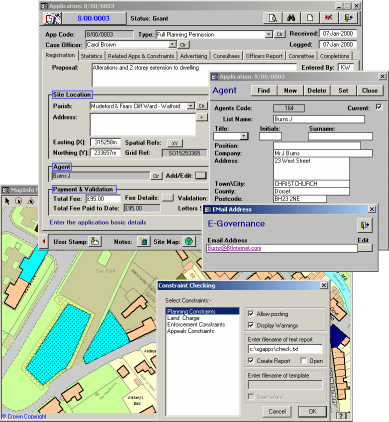 The Planning Application Control System is a complete database and map management system designed to simply the development control planning process. PACS is used across the United Kingdom by Local and National Park Authorities. Together the users guide development of the software through PACS User Group meetings and workshops. Support is provided by a dedicated PACS technical support team and through PACS user training.